Hello! Back with another review for the Sample Corner. 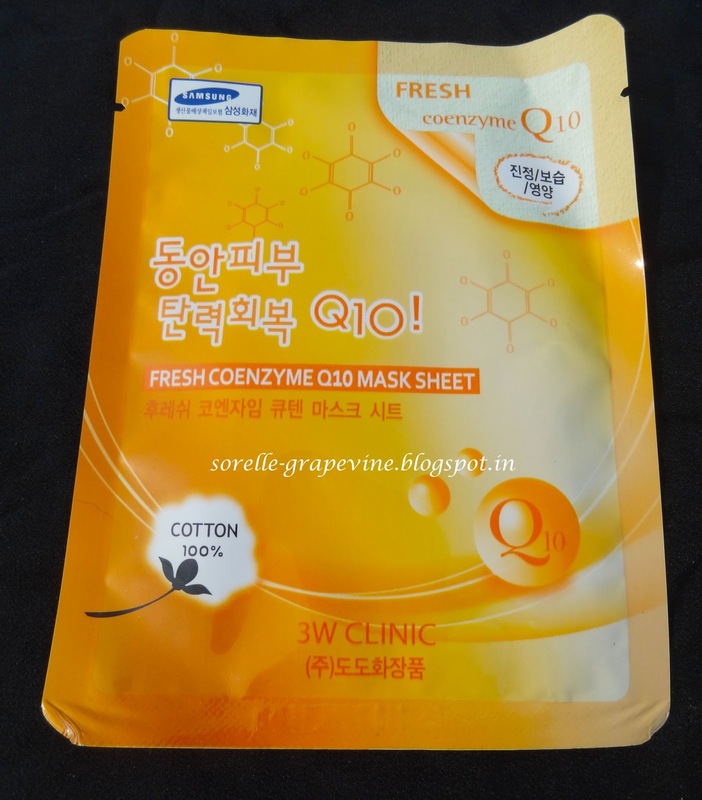 I will be presenting another mask sheet from the Korean company called 3W Clinic. Like I mentioned before I got this as a sample when I placed an order at Cosmetic Love site for some Korean products. I’m going to breeze through this review too and do it in point wise fashion. If you want a more detailed read of a similar product then do check out my review on the Coenzyme mask from the same brand HERE. Let get started shall we…. * Cloth/ fiber feeling mask sheet made from cotton. * One time use only. * Attaches easily to skin. Can be worn on while sitting. * Needs to be kept on for 20-30 mins. No need to wash after that. Just pat in remaining product on skin. * No tingling sensation on use. * Skin looked well moisturized. * Slightly sticky feel after taking it off. Feeling stayed for more than an hour. * No other result observed. Like I said before for the people on the move this is an easy way to put on a masque as it is hassle free. Since it a sample for one time use only it is very difficult to say how the long term use results of it will be. But I will say that I found nothing impressive about this. 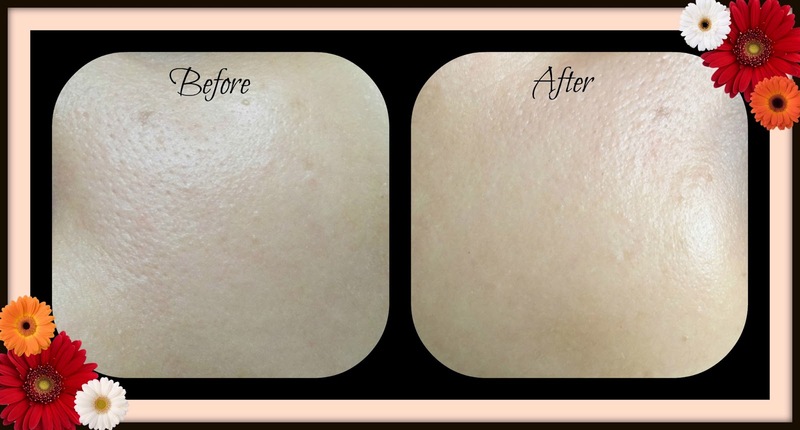 My skin returned to its normal state by morning (had applied this late night). Price again varies quite a bit from $4.80 (6 sheets) to $14 (10 sheets). I do want to try out mash sheets from some other brands. Hopefully find one that works for me. Do let me know how you liked this review. Until next time – Bye! Hey there! Bringing you another sample today and this one is a mask sheet. These have become quite popular these days and even spas use them in their facials. A convenient way to apply a mask as there is no mixing or applying required. Just pop the pack and spread the sheet on…easy peasy. I got this as a sample when I ordered from Cosmetic Love. This is from a Korean company called 3W Clinic. I have not heard of it before. 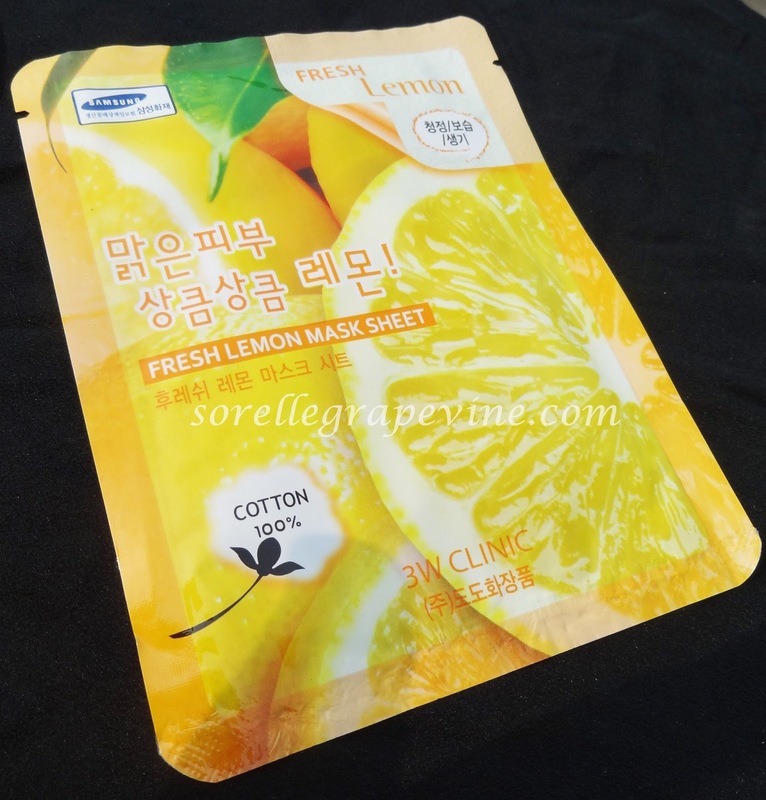 The mask sheet was individually packed with instructions printed in Korean and English on the back. The sheet is made from cotton which is more cloth like than fiber feel. The mask has a very nice peach scent to it which is actually quite relaxing. 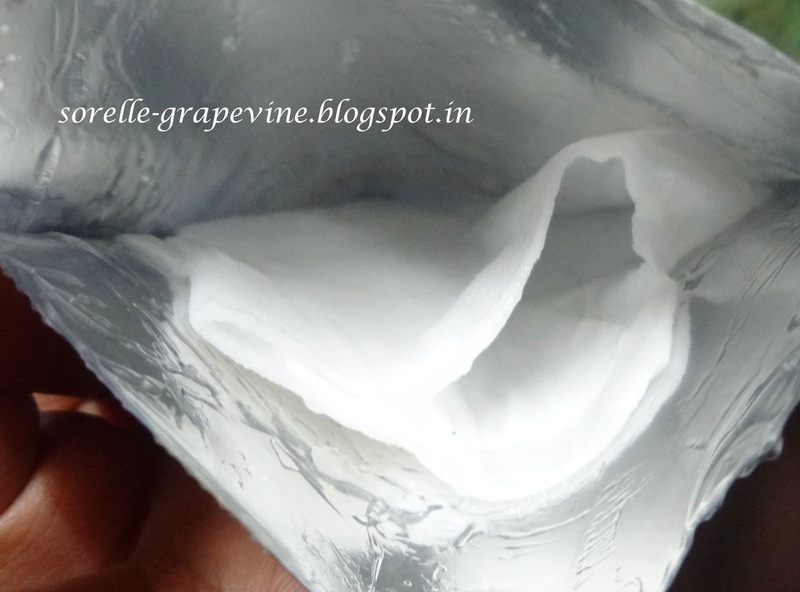 The sheet is covered in a gel like material. After I placed the sheet on my face, there was enough gel left in the packet for me to put over my neck and on my arms uptill my elbows. You need to leave it on for 20-30 mins and since it stays attached to your skin you can sit upright with it. Can leave it on while you watch TV. I felt a slight tingling on my skin after I had it on for about 15 mins and that too on certain areas like my forehead and cheeks. Overall it had a light cooling sensation. Once you take it off after the stipulated time you don’t need to wash your face but rather just pat all over with your fingers so that the remaining gel gets absorbed into your skin. 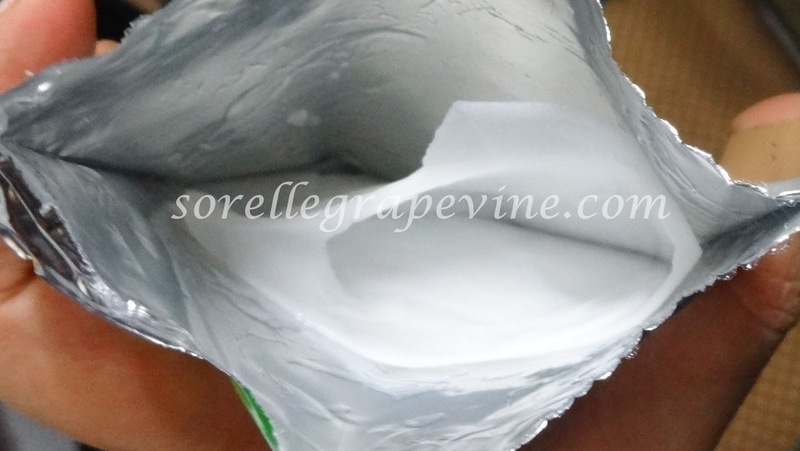 Since the mask is meant for one time use only you need to dispose of it after the application is done. The remaining gel takes a little while to absorb into your skin but leaves your skin feeling coated and slightly sticky (this feeling goes away after an hour). You get this light glow to your skin like what you can see after your skin has been well moisturized. 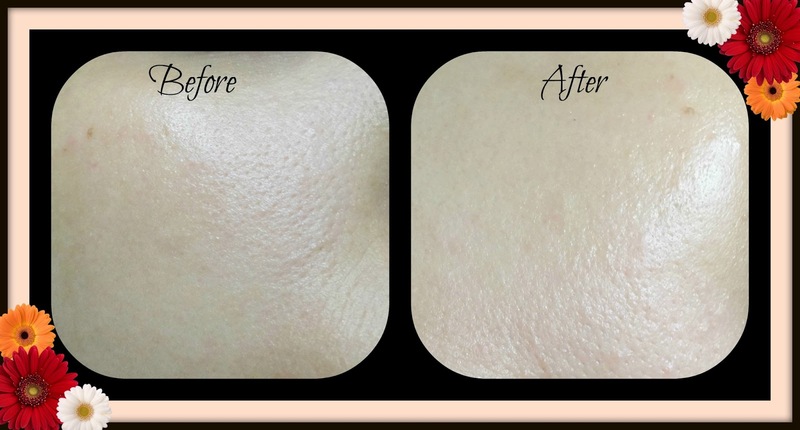 The pore size does reduce somewhat. It has been my personal observation that you can see the actual effect of any mask after almost a day. I checked my skin after around 18 hrs and didnt notice anything different or special about it. It looked pretty much the same how it did before I used the mask. This comes in a set of 10 sheets and the price varies quite a bit online where some sellers offering it for $13.99 (approx Rs. 770/-) to even as low as $5.99 (approx Rs. 330/-) on ebay. That concludes another sample review. Remember that it is just an insight into the product. Though I think that for a mask one application can be good judge for it especially since it like a making your skin look vibrant kinda deal. It did do that but the effect was not long lasting on me. Maybe more uses could help to achieve that result. I do have another sample from the same company so lets see how that performs.